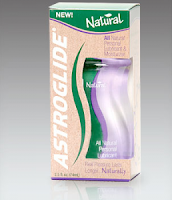 Get your FREE sample of Astroglide Lubricant. If you previously missed this freebie, make sure you take advantage of it today while it is still available. To order this Free Sample, simply fill out the form. One sample per household. Must be 18 years of age to receive sample. You will have to verify your email address to get this freebie :) So check your junk mail to make sure you don’t miss the confirmation email to get your sample! Don’t want this sample for yourself? They make fun little samples to stick in a goody bag for a Bachelorette or bridal shower!